A perfect starting point for exploring the iconic Brent Tor. 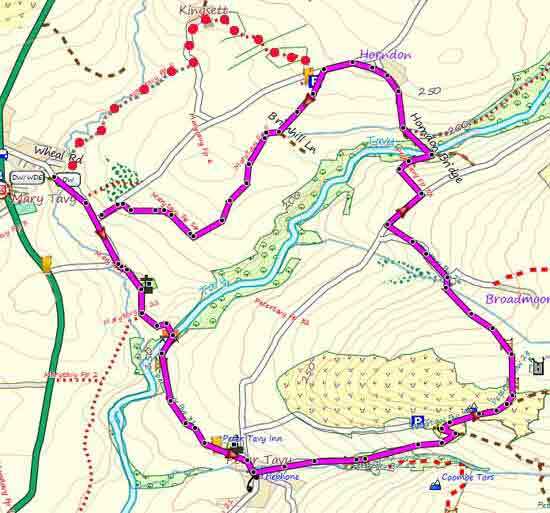 A This delightful walk climbs steadily out of Mary Tavy following part of the Dartmoor Way on the Brentor Road. 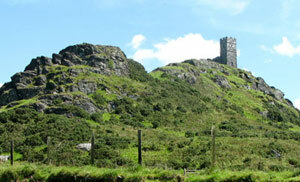 B Brent Tor & the famous Church of St Michael (where Jamaica Inn was once filmed) are surrounded in numerous legends. 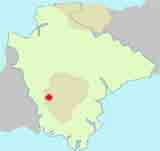 C North Brentor. a charming village with a church but no pub. 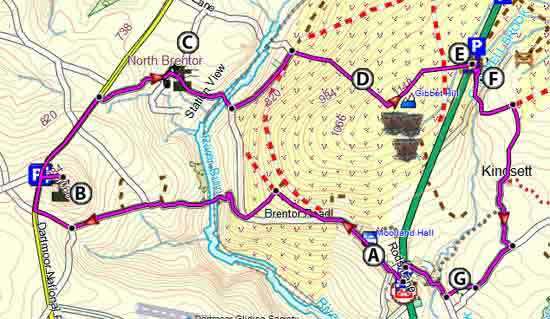 D Tracks to Gibbet Hill are well defined. E Cross the A386 to Tavistock at gates - no need to walk along busy road. a busy road has to be crossed. 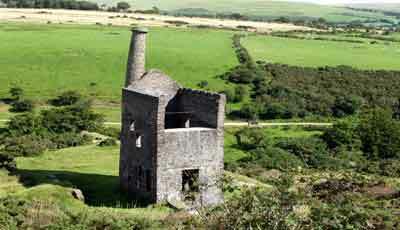 F The leaning ruins of Wheal Betsy,an old engine house,was used for mining. G There is a footpath to Mary Tavy after Kingsett farm - however,after heavy rain fall this often gets water-logged. As there is no shelter ensure it's not a rainy day when you start this walk. A delightful walk to Wheal Betsy ,an old copper mine,across stunning moorland using well maintained footpaths and green lanes. 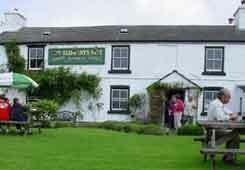 A most enjoyable pub walk from Mary Tavy to the famous Elephant's Nest pub.